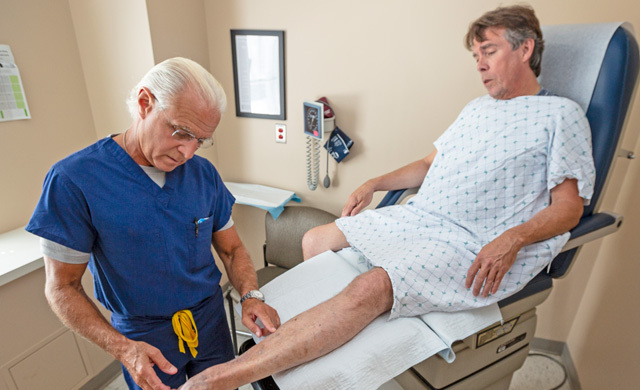 Learn more about Englewood Health’s minimally invasive treatments of varicose veins. There is a range of treatments for DVT, from medication to minimally treatment invasive approaches such as lysis therapy, to blood filters. Learn more about Englewood Health’s treatment of DVT. Several options are available to treat this condition, including stents, coils, or stretching narrowed veins. Learn more about Englewood Health’s treatment of pelvic vein disease.